Guaranteed SEO Malaysia , Genuine or Gimmick ? In many developed countries, it is a common practise that provide money back guarantee to protect consumer’s interest. For example, New Zealand has a “Consumer Guarantee Act” . Under this Act, the consumer rights are expressed as a series of “guarantees” that a seller automatically makes to consumer when consumer buy any good or service ordinarily purchased for personal use. If the problem is minor, and can be fixed, the retailer can choose to either repair, replace or refund ; If the problem is serious and cannot be fixed, the consumer can reject the good/services and request for refund (money back) . When the consumer have the right to reject the goods, sellers cannot just offer a credit note. If the consumer want a refund, he or she is entitled to Money Back - by cash, cheque or credit card charge reversal. 2. Secondly, the SEO Company will only play safe to target low-traffic keywords or easy to achieve keywords. 3. Finally They will have no choice but to use automated methods to save time and effort. Or, The SEO works are outsourced cheaply to India, Philippines and Vietnam. 1. Google says “beware of SEO that claim to guarantee rankings, no one can guarantee #1 ranking”. Yes, I agree with this. But if you read the statement of most SEO guarantee, it actually means “Money Back Guarantee” if the ranking cannot be achieved. For the #1 ranking , again, until now I don’t see any SEO provider dare to offer #1 ranking, Most of the Guarantee SEO is to guarantee top 10, or first page ranking, not Number. 1 ranking. 2. For the 2nd point , Yes, I agreed that there are some un-professional Guaranteed SEO providers only optimize the low-traffic keywords, or not profitable keywords. I have even write this in the SEO services FAQ in Malaysiaseo.net . That’s why we need to educate the clients to choose the right keywords, such as using Google External Keywords tool. 3. The third point, is quite not fair to link to Guarantee SEO. I know there is a well-known SEO company in Singapore, even they don’t provide ranking guarantee or money back guarantee, but they actually outsource their SEO job to Philippines. I don’t think it is a problem as long as the SEO result is delivered, unless there is a discrimination here. For those SEO providers that using “automated” method to SEO (can be considered as webspam), many of them are already punished in the latest Google Penguin update, read my SEO post here. “Guarantee” is a common practise for the good of consumers, not magic or business gimmick, unless it is abused in other ways. If New Zealand has such act to protect consumers, why not SEO provider in Malaysia ? In fact , we have a step forward because the Consumer Guarantee Act only protect end-users and not apply to business-to-business. P/S : Wonder why I am so concern on “Guaranteed SEO” ? Simply because I am the First one (to my knowledge) that provide SEO money back guarantee since year 2001, when the SMIDEC e-commerce grant was launched and I am the one to suggest this in their e-commerce providers meeting. 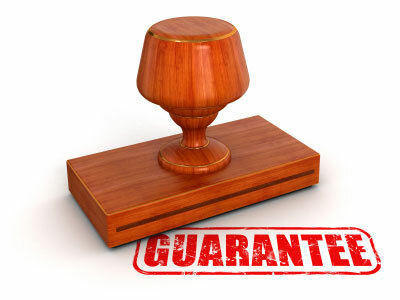 So I think I need to voice out my views to clarify this Guarantee SEO.